"The main role in making Syrians return home should be played by the UN, principally, by the United Nations High Commissioner for Refugees," Russia’s Envoy to the United Nations Vassily Nebenzia told reporters at a Security Council briefing on Syria on Tuesday. Nebenzia also pointed out that the Russian Defense Ministry’s warning about potential chemical attacks being planned in Syria are based on concrete facts, Russia’s Envoy to the United Nations Vassily Nebenzia told reporters at the Security Council briefing on Syria on Tuesday. He added that the UN's passive stance was possibly a result of guidelines that were adopted at the end of last year by the UN Department of Political Affairs, which had not been discussed with the member states. Russia's Defense Ministry has warned that the leader of the Tahrir al-Sham terrorist group*, which is affiliated with the Al-Qaeda-linked Jabhat Nusra terror organization (banned in Russia), is planning a chemical attack against civilians in Idlib in order to provoke western nations into retaliating against Damascus. Nebenzia said Russia's military does not make false statements like the defense ministries of other countries tend to do. 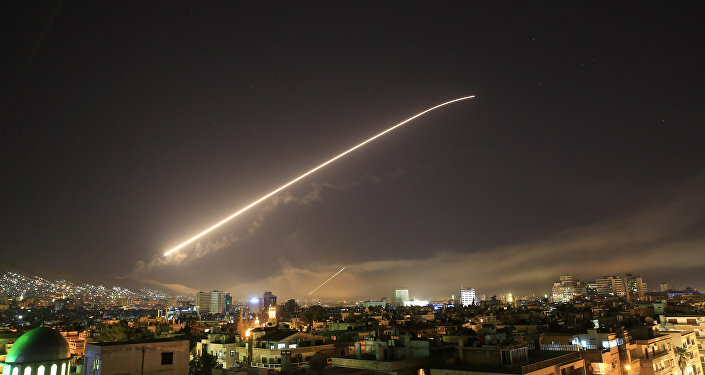 He also noted that terrorists groups are interested in stopping the Syrian government army and rallying the United States and its allies against Damascus. Citing reports, Nebenzia said that a number of containers with chlorine were delivered to different cities in the Syrian province of Idlib. He also said unmarked weapons were reportedly transferred to unmarked vehicles. UK Ambassador to the United Nations Karen Pierce told reporters at the same stakeout that claims other countries were planning to stage chemical attacks in Syria amounted to fake news. On Monday, a US Defense Department spokesperson told Sputnik that Russia's recent claims that the United States was building up forces in the eastern Mediterranean ahead of a staged chemical attack in Syria were not true.